Have you experienced Flow? I have to admit that when I am writing I can burn all the cooking even if I am just 10 feet away! The writing process is so exhilarating that I can’t help it. My husband knows this and he calls me on my cell to wake me up from Flow when I need to tend to some everyday stuff in the midst of my writing time. The father of the concept of flow is Mihaly Csikszentmihalyi, a University of Chicago professor. Wikipedia tells us that Flow is so named because during Csíkszentmihályi’s 1975 interviews several people described their ‘flow’ experiences using the metaphor of a water current carrying them along. The psychological concept of flow as becoming absorbed in an activity is thus unrelated to the older phrase “go with the flow”. I would stretch that the concept of flow explains very well what Christian spirituality is at its best. Wikipedia mentioned only eastern religions practicing flow-like meditations. But already Martin Luther talked about meditation as a Christian practice. And it is also mentioned in the Bible. In my opinion, Christian’s union with Christ is very much a flow experience. When Christ lives in us and we are one with God in the Spirit, it most definitively is an experience of flowing faith. Flowing faith is a gift from God, pure grace, meant for everyone who desires to be with God. Christ has paved the way to God by dying on the cross for our sins. Now it is up to us to accept the invitation to be made right with God through faith by grace. Christ wants to abide in us and pour grace upon grace on us so that we could experience flowing faith now and forever. Thank you for inviting us to be with you. Thank you for showing us the way back to you. Abide in us, give us flowing faith! Q4U: Have you experienced Flow? Or flowing faith? Be blessed, my fellow pilgrim, as you experience flowing faith! This post is refurbished from 2009. 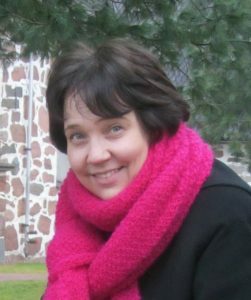 Photo courtesy of Marian Trinidad, design by Mari-Anna Stålnacke. 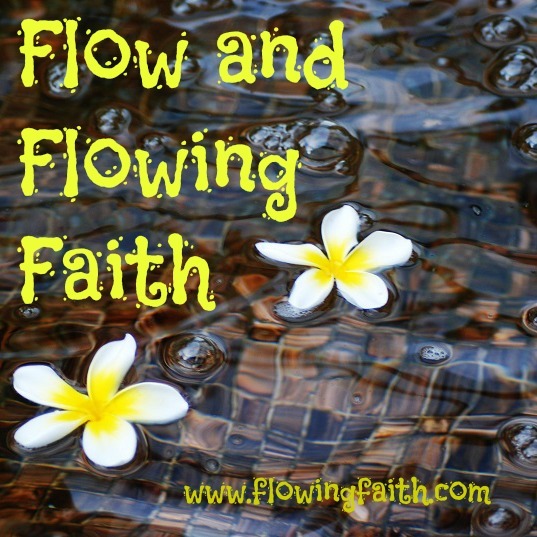 Linking up today with Sharing His Beauty, Hear it on Sunday, use it on Monday, Playdates with God, and counting blessings with Ann Voskamp: #1071 Flowing Faith is possible by God’s amazing grace!